– The commander of the final space shuttle mission to repair the Hubble Space Telescope and a three-time spacewalker who helped to install the U.S. laboratory on the International Space Station will be inducted into the U.S. Astronaut Hall of Fame in April. Former NASA astronauts Scott Altman and Thomas Jones will be honored as the Hall's 2018 class of inductees at the Kennedy Space Center Visitor Complex in Florida. A public ceremony on April 21, followed by a gala dinner hosted by the Astronaut Scholarship Foundation (ASF), will welcome Altman and Jones as the 96th and 97th enshrinees in the Astronaut Hall of Fame. Altman and Jones' induction was announced on Thursday (Jan. 18) by space shuttle-era astronaut Curt Brown, board chairman of the Astronaut Scholarship Foundation, which oversees the selection process. "Dr. Jones and Capt. Altman exemplify the qualities of true American heroes: courage, dedication and passion," said Brown, who entered the Hall of Fame in 2013. "As NASA's mission continues to evolve, with a goal to learn more and go further, we recognize that individuals like Dr. Jones and Capt. Altman play a crucial role in keeping that mission on course." "We are delighted to be adding them to the elite group of men and women who have been inducted," said Brown. 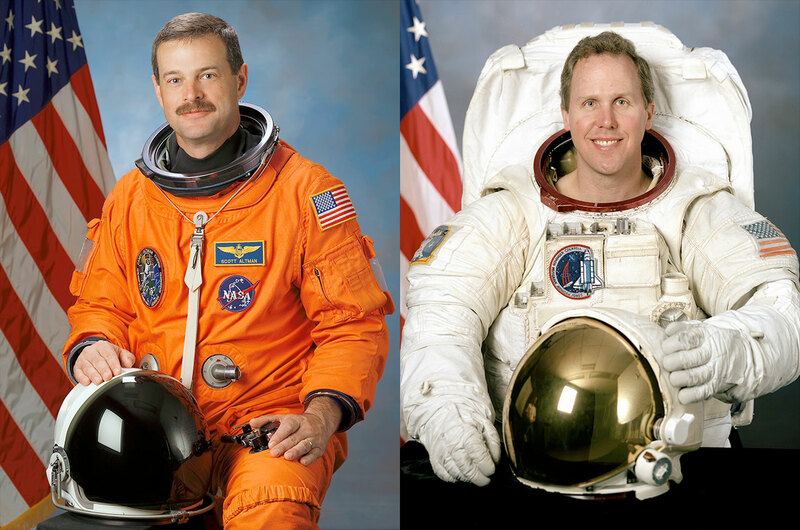 Selected with NASA's 13th and 15th classes of astronauts in 1990 and 1995, respectively, Jones and Altman flew on four space shuttle missions each. Altman logged 51 days and 12 hours in Earth orbit, while Jones spent a day and a half more, circling the planet for 53 days. An accomplished Navy fighter pilot, Altman's pre-astronaut claim to fame was flying the aerobatic flight sequences for Tom Cruise's "Marverick" in the 1986 movie "Top Gun." As a space shuttle pilot and then commander, Altman — who goes by the call sign "Scooter" — flew missions aboard the orbiters Columbia and Atlantis. 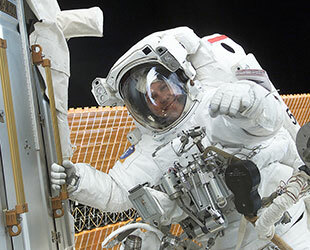 Altman made his first spaceflight as the pilot of STS-90 in 1998, a mission dubbed "Neurolab" due to its focus on the effects of microgravity on the function of the human brain and nervous system. 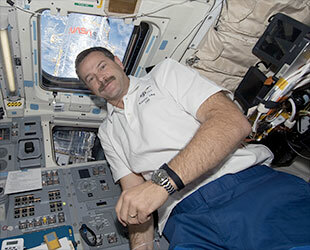 Two years later, he piloted STS-106, which was dedicated to preparing the International Space Station for the arrival of its first resident crew. Altman's third and fourth flights were as the commander of the final two missions tasked with repairing and upgrading the Hubble Space Telescope. 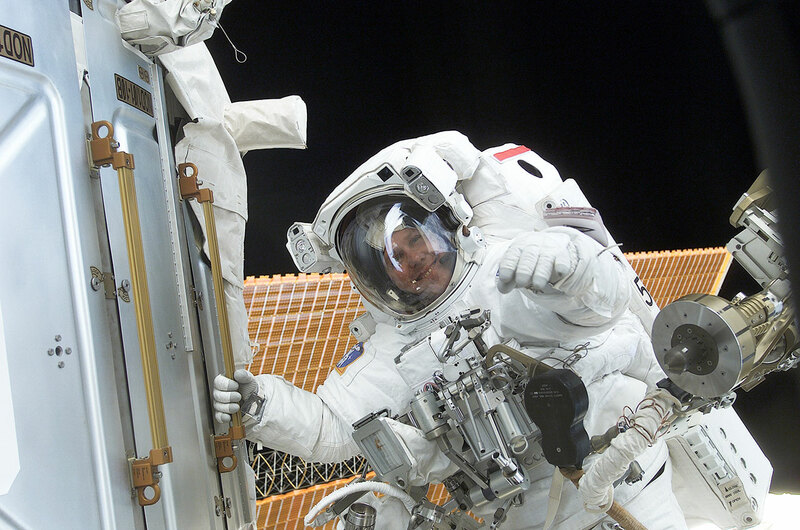 On STS-109 in 2002 and on STS-125 in 2009, Altman flew the shuttle to a rendezvous with the orbiting observatory, where his crew spacewalked to service the Hubble. Following his return to Earth, Altman served as the chief of the exploration branch of NASA's Astronaut Office during the selection of the Orion spacecraft as the agency's next generation crew vehicle. He left NASA in 2010 and is now the senior vice president for civil programs for all of ASRC Federal's NASA and NOAA programs, including assembly of Orion capsules for upcoming exploration missions. Jones flew B-52D "Stratofortress" combat missions for the Air Force and served as a program management engineer in the CIA's Office of Development and Engineering before becoming a NASA astronaut. 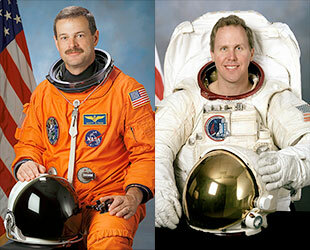 His four space shuttle flights as a mission specialist were on board the orbiters Atlantis, Columbia and Endeavour. Jones' first two launches were separated by less than six months. On STS-59 and STS-68 in April and September of 1994, Jones and his crewmates operated the Space Radar Laboratory, studying Earth's environment. Jones' third space mission, STS-80, was the longest in the shuttle program's 30-year history. During the 17 days and 16 hours that he was in orbit, Jones helped to deploy and recover science satellites, but his two planned spacewalks were canceled due to a jammed airlock hatch. Jones ultimately succeeded in walking in space on a trio of extravehicular activities (EVAs) during the STS-98 mission in 2001. He helped to install the U.S. Destiny laboratory on the International Space Station, including his overcoming a critical ammonia leak. In total, Jones logged 19 hours and 48 minutes working in the vacuum of space. 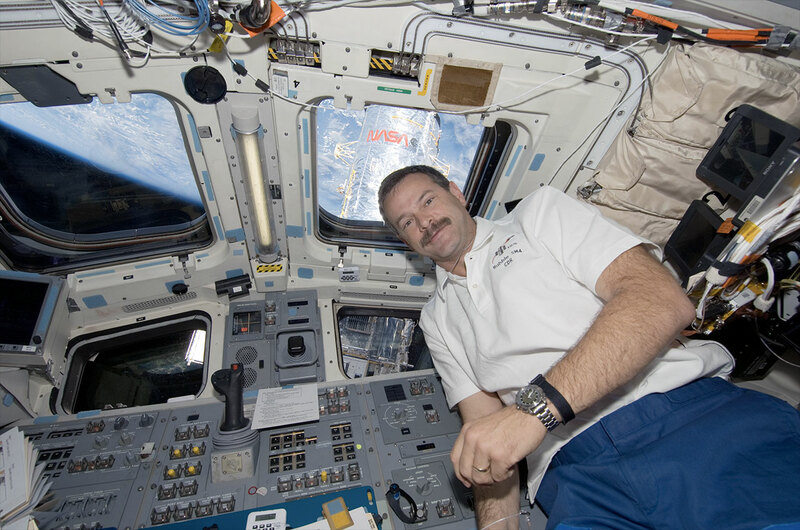 Since departing NASA in 2001, Jones has authored more than 200 technical and popular articles, as well as penned five books about space and aviation. Jones is now a senior research scientist with the Florida Institute for Human and Machine Cognition and the chairman of the Association of Space Explorers' near-Earth object committee, supporting international efforts to detect and deflect rogue asteroids. "I am gratified and thankful to be welcomed with Scooter into this elite group of pioneering astronauts, and to walk in the footsteps of my heroes," wrote Jones on Facebook on Thursday. "This honor is beyond my wildest space dreams, I can tell you." Altman and Jones were selected for induction by a panel of astronauts, mission controllers and journalists overseen by the Astronaut Scholarship Foundation. To be eligible, they needed to have made their first spaceflight at least 17 years ago, be U.S. citizens trained by NASA, and now be retired from the astronaut corps. 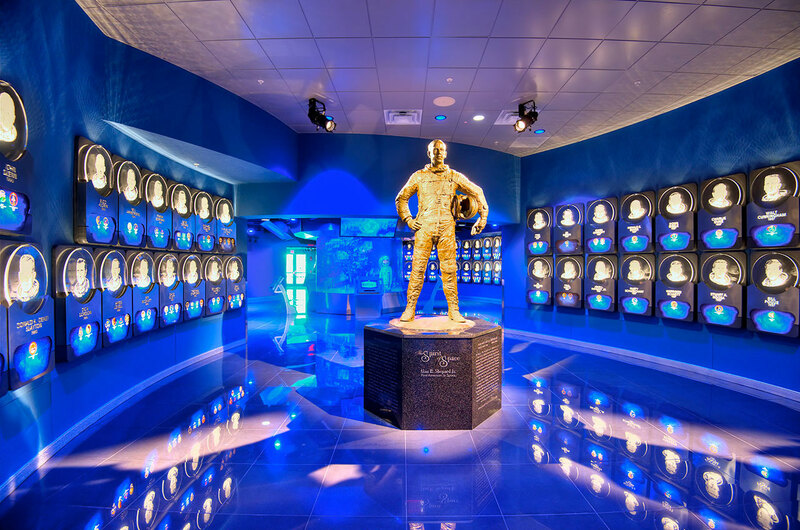 The U.S. Astronaut Hall of Fame was founded in 1990 on the suggestion of the original Mercury astronauts. 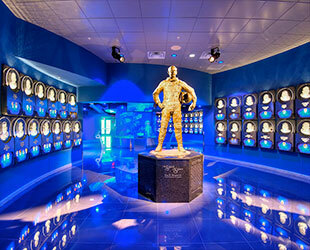 It is now a featured part of Heroes & Legends, a public attraction at the Kennedy Space Center Visitor Complex.